Meade 2" Accessory Adapter #07085 for Meade LX, ACF, SCT, and LS models. 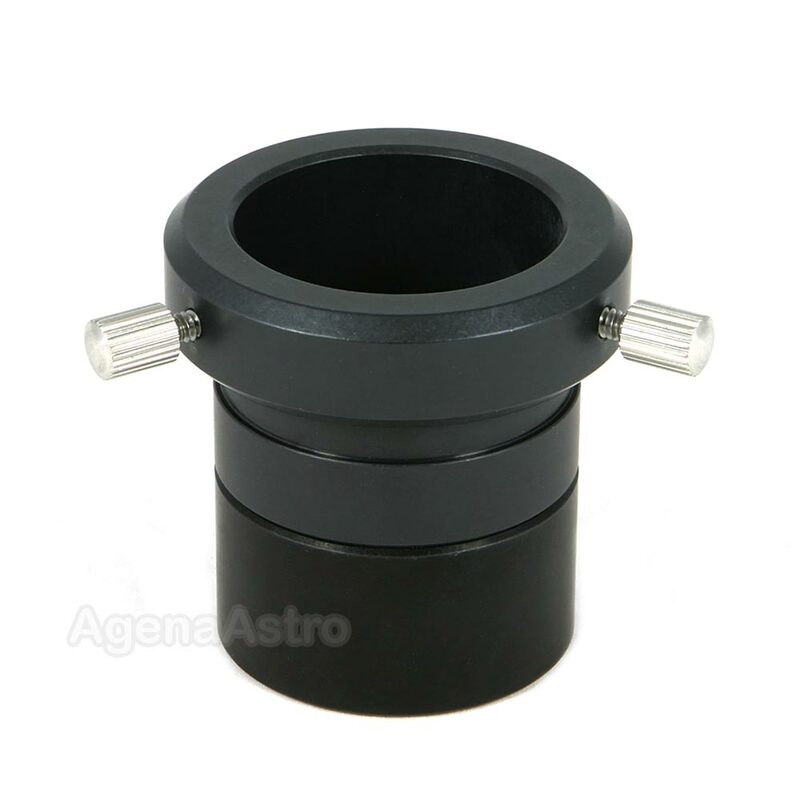 Converts the rear cell SCT thread of the telescope to a 2" slip fit, allowing use of 2" accessories such as 2" slip fit diagonals and 2" eyepieces. Compatible with all years, makes and models of Meade Schmidt-Cassegrain and Advanced Coma Free models including 2080, 2120, LX50, LX90, LX200, RCX, and LS models and other models which have a Schmidt-Cassegrain rear cell thread. I recently acquired an older model LX50 which It didn’t come with have the standard 1.25 visual back. So I researched for one to work with my 2 diagonal and come across this. It worked prefect as description stated.